He stands 5-foot-9 and resembles a back-up infielder. DH Mike Gosse sure stood tall for in his Oklahoma Sooners uniform. Gosse has a 6-foot-6 heart. Gosse (senior, Pitt Meadows, BC) earned 35 first-place ballots to lead the way the ninth annual All-Canadian College Team. He had seven more than First Team votes than 2B Kevin Mailloux (junior, Windsor, Ont.) of the Canisius Golden Griffins. Results from our usual voting panel of 42 were scored on a 5-3-1 points basis, Our numbers were totaled by a bonded accounting firm of Grant Thornton. Our 42 experts came from a vast cross section from both sides of the border: coaches (14), executives (eight), scouts (eight), scouting directors (three), former players (three), writers (three), broadcaster (one) and our crack staff. It’s the first time Gosse has been the top vote getter, but he was close before in 2006 and in 2005. He was three votes off the pace of leader OF Jon Baksh(Mississauga, Ont.) in 2006. As a slugging freshman DH he had 53 votes in 2005, two behind top Canadian Karl Amonite (senior, Woodslee, Ont.) of the Auburn Tigers. With the New Mexico Thunderbirds in 2006, Gosse was selected to the All-Region V Team, hitting .473, driving in 69 runs. Gosse had 24 doubles, seven triples, four homers. In 2005, Gosse earned NJCAA Division I All-American honors, helping the Thunderbirds to an undefeated run to win the 48th annual Alpine Bank NJCAA Division I World Series in Grand Junction, Col. He also voted to the all-district southwest district team and was named to the WJCAC All-Conference team. Gosse hit .468 in 62 games with 24 doubles, six triples, seven homers and 78 RBIs. In his first year at Oklahoma he started 18 of 41 games. Yet this spring he started all but five of 63 games, hitting .368 with 23 doubles, two triples and eight homers. Gosse knocked in 52 runs. This is the third time Gosse has been named to the First Team on the All-Canadian College selections. Gosse was selected at DH in 2005 and third base in 2006. Some career for a little bitty guy, huh? He was drafted in the 23rd round by the Detroit Tigers. 1B Kevin Atkinson (freshman, Surrey, BC), of the New Mexico Jr. College Thunderbirds in 2007, who was on this year’s Second Team. Our first-team features six players from Ontario, four from British Columbia, three from Alberta and one from Saskatchewan. Our first, second and third teams combined include 18 players from Ontario and nine from B.C. The rest of the representation came from Alberta (seven), Quebec (two), Manitoba (two) and Saskatchewan (one). Including the first three teams and the honourable mentions the Ontario leads the way with 34 players named. British Columbia is next with 22, followed by Alberta (10), Quebec (five), Manitoba (five) and Saskatchewan (three). Left-Handed starter (tie): Shane Davis (freshman, Belmont, Ont.) Canisius Golden Griffins and J.R. Robinson (sophomore, Surrey, BC) New Mexico Jr. Thunderbirds. Davis was named a Third-Team All-American by three different organizations (NCBWA, Louisville Slugger and Ping! Baseball); a Second Team All-American (Rivals.com) and a Freshman All-American by four groups (Baseball America, Pro-Line Athletic NCBWA, Louisville Slugger and Ping! Baseball). Davis tied for first among all freshman pitchers in the NCAA with his 12 victories. The 6-foot lefty, who became the first player in league history to receive MAAC Pitcher of the Year and MAAC Rookie of the Year honors in the same season and ranked in the top 10 among freshman pitchers with his 2.42 earned run average. An all-MAAC First-Team selection, Davis led the MAAC in ERA (2.42), victories and complete games with his 12 victories and 10 complete games setting Canisius program records as well. Davis allowed two or fewer earned runs in 10 of his 13 starts. In conference play, Davis was 7-1 with a 1.61 ERA, allowing 53 hits and 11 walks in 56 innings pitched. Davis pitched for the St. Thomas Tomcats of the Junior Intercounty League and coach was Rob de la Penotiere and was a Canadian champ at the junior nationals in Guelph coach Scott Van de Valk. Robinson won the Western Junior College Conference Most Valuable Pitcher award and earned WJCAC All-Conference honours. He was also named to the All-Region V First Team. Robinson transferred to the Oklahoma Sooners. Robinson was tabbed the No. 2 junior college player in the state of New Mexico by Perfect Game after he helped lead NMJC to a national runner-up finish in 2007 as he was named to the all-tournament team. Robinson was 12-1 in 12 starts and struck out 90 batters in 86 1/3 innings pitched. Robinson, who pitched his formative years for the Langley Blaze under coach Doug Mathieson, transferred to Oklahoma. Robinson earned All-Canadian Second Team honours in 2007. Right-hander: David Francis (sophomore, Mississauga, Ont.) Walters State Senators. Francis pitched the No. 2 ranked Senators to a NJCAA Region VII tournament over Chattanooga State for the Senators. Francis tossed a three-hitter. The former Ontario Blue Jays starter, who pitched for Danny Bleiwas moved to 11-1 with 11 strikeouts. In two years with the Senators, Francis compiled a 19-1 record with a 3.38 ERA, and had 141 strikeouts in 141 innings pitched. Francis pitched a rain-shortened no hitter for the Single-A Danville Braves in a 1-0 win over the Pulaski Mariners, striking out 16 strikeouts in six innings. Undrafted out of high school. Francis developed with Walters State and was selected in the 12th round by the Atlanta Braves. In the fall of 2008 he pitched against the Canadian National Junior Team while with the Braves instructional league team. Francis earned All-Canadian Honourable Mention honours in 2007. Reliever (tie): Andrew Albers (senior, North Battleford, Sask. ), Kentucky Wildcats and Sheldon McDonald (sophomore, Spruce Grove, Alta.) Northeastern Huskies. Albers led UK with 31 appearances in 2008, earning a 2.40 ERA and a 7-4 record, with five saves. He was a 10th-round pick of the San Diego Padres and signed. The lefty worked 56 1/3 innings, fanning 64 and holding opponents to a .226 average. With 81 appearances, Albers ranks fifth all-time and his 20 career wins are tied for fourth. With 12 career saves, Albers ranks third all-time in UK history. A 12th-round draft (Brewers) pick as a high schooler 2004, Albers was the physical and vocal leader of the pitching staff throughout his career, functioning as a weekend starter and a closer in his four-year tenure. Albers started a team-high 15 games in 2007 and 14 games in 2005, appearing in 21 games in 2006 as the closer. Albers earned All-Canadian Team Honourable Mention in 2007 and 2006. McDonald earned First Team All-Colonial Association honours finishing 2008 with a 9-2 record and a CAA-best 2.86 ERA through the end of the regular season. His nine wins led the Huskies and was the second-highest win total by a Husky in a single season, one shy of Peter Schultz’s record of 10 set in 1994. He held opponents to a team-best .231 average against and led the Huskies with 77 strikeouts in 56 2/3 innings — a rate of 11.44 strikeouts per nine innings pitched, tying him with Justin Hedrick (2003) for the fifth-highest single-season strikeout rate in school history. He was named CAA Pitcher of the Week three times, or once a month of the season. The first time: following a week in which he earned two wins after combining to pitch nine shutout innings, as he allowed five hits, walked none and struck out 11 batters in his two appearances, one as a starter and the other in relief; the second as he went 2-0 with a save and a 1.59 ERA in three relief appearances and the third: the final week of the season when he combined to throw 8 1/3 scoreless over two relief appearances against James Madison, allowing five hits and striking out 15 in the two appearances. He led the Huskies with 21 appearances and 14 games finished, as the Huskies were 13-7-1 in games that he pitched in. Catcher: Josh Vander Hey (senior, Calgary, Alta.) New Orleans Privateers. Vander Hey had three hits, including his ninth homer in a 7-5 Privateers win against Arkansas State. Vander Hey was voted to the All-Louisiana College Team chosen by the Louisiana Sports Writers after hitting .357 with 13 homers and 76 RBIs, one shy of OF Justin Pennell (senior, Toronto, Ont.) of the Ouachita Baptist Tigers. Vander Hey is unique for a couple of reasons, first in that he completed his undergraduate degree at Texas Wesleyan and was taking a Masters of Business Administration and second he is married to Melissa. Vander Hey transferred from the NAIA school in Fort Worth due to a short-lived NCAA rule allowing those who had their undergraduate degree to transfer if they still had athletic eligibility without being penalized by sitting out a year. Vander Hey signed with the Brockton Rox of the Can-Am Independent League. His first two professional hits were home runs were against the Worcester Tornadoes and three days later, Josh hit a game-tying solo home run in the 6th inning against the New Jersey Jackals and scored the game-winning run in the bottom of the 12th. Vander Hey tied for third most homers amongst Canadians with Mitch Delaney (freshman, LaSalle, Ont.) of the Western Texas, Kyle DeGrace (sophomore, Toronto, Ont.) Connors State Cowboys led the way with 16. Vander Hey earned All-Canadian Honourable Mention in 2007 and 2005. First base: Mitch Delaney (freshman, LaSalle, Ont.) of the Western Texas Westerners. A 21st round pick by the Chicago White Sox IN 2007, the Villanova High School grad opted to play junior college ball and moved up nine spots leading Western Texas college in hitting (.380), home runs (13) and RBIs (45). Delaney provided power from a power position on our all-Canadian team. Delaney tied for third with Josh Vander Hey (senior, Calgary, Alta.) New Orleans Privateers when it came to most homers by Canadians — 13 apiece. Kyle DeGrace (sophomore, Toronto, Ont.) Connors State Cowboys led with 16, followed by Justin Pennell (senior, Toronto, Ont. ), of the Ouachita Baptist Tigers with 15. Delaney was Delaney, who played for Windsor and Team Ontario, was seventh in NJCCA Div. I in home runs per game (.245). He was also 28th in slugging percentage (.673), 30th in total bases per Game (2.170), 42nd in batting average (.380) and 43rd in hits per game (1.226). Second base: Kevin Mailloux (junior, Windsor, Ont.) Canisius Golden Griffins. Mailloux earned First Team All-Canadian honours in 2006 and placed on the Second Team in 2005. Third base; Ben Cairns (junior, Nanaimo, BC), Jamestown Jimmies. Cairns started the season as the Jamestown DH, but before the season was over he was the regular in the third and the Dakota Conference First Team third baseman. Cairns hit a two-run homer over the right field ivy in Jack Brown Stadium to lift Jamestown to a 6-5 win over the Bellevue Bruins in the opening game of the Plains Super Regional. Cairns had five RBIs on a pair of hits as Jamestown hammerered the Mayville State Comets 16-3 to move to within a win of the Region III title. Cairns played for Dave Wallace with the Parksville Royals. Shortstop: Terrance Dayleg (junior, Surrey, BC), of the Western Kentucky Hilltoppers. Dayleg was named to the Pre-season all-Sun Belt Conference team, coming off a 2007 season in which he hit .320 with 72 hits and drove in 39 runs tied for the third most RBI on the team. This year Dayleg, who played for the Whalley Chiefs and coach Jason Rich, hit .347 with seven homers and 55 RBIs. Dayleg earned All-Canadian Honourable Mention in 2007. Outfielders: Kyle DeGrace (sophomore, Toronto, Ont.) Connors State Cowboys; Justin Pennell (senior, Toronto, Ont. ), Ouachita Baptist Tigers; Garrett Regan (sophomore, Calgary, Alta. ), Oklahoma City Stars. Pennell was named both the Most Outatdning player and earned a berth on South Central Region All-Tournament Team. Pennell was named to the RAWLINGS/ABCA Second Team and the DAKTRONICS, Inc. Second Team. He also earned a Gold Glove and made the Golf Coast Conference First Team. He made the most of his final home collegiate at-bat with a walk-off grand slam home run to lift the 25th-ranked Ouachita Baptist to a 6-4 win against Montevallo. Ouachita Baptist lost 6-2 to Mount Olive in the NCAA Division II final and earned a berth on the all-tournament team. Pennell was selected Gulf South Conference West Division Player of the Week. Pennell was second in homers with 15. Pennell earned All-Canadian Honourable Mention honours in 2007. Regan earned NAIA All-American honourable mention. Regan was also named to the All-NAIA Region VI team and won Sooner Conference First Team honours. He had a .418 average with nine homers, 45 RBIs and 12 stolen bases. Regan also posted 110 hits and 29 doubles. Regan was eighth in the NAIA in hits per game (1.62). Regan attended the Prairie Baseball Academy under coach Blair Kubicek. DH: Mike Gosse (senior, Pitt Meadows, BC) of the Oklahoma Sooners. Gosse celebrated his 22nd birthday with three hits and three RBIs for the Sooners in an NCAA Tournament opener against No. 22 Vanderbilt Commodores. Gosse was named to the All-Tournament team. Gosse played for the Coquitlam Reds and legendary coach Bill Green. Gosse was a First Team all-Canadian at third base in 2006 and repeated his 2005 First Team selection when he won the DH spot. Left-hander: Matt Tosoni (senior, Whitby, Ont.) St. John’s Red Storm. Diagnosed with Ulcerative Colitis at age 17, Tosoni’s baseball career was in jeopardy in his sophomore year, he became very ill and had to return home. He was away for eight months and endured five months in the hospital while undergoing three surgeries. Tosoni is an Only-in-America story hatched in Ontario. The Team Ontario grad, who pitched for Marc Picard, sent an insiprational message to his teammates who wore bracelets to fight the disease and swept a BIG EAST series against Notre Dame. Right-hander: Matt McGovern (sophomore, Gloucester, Ont.) Monroe Tribunes. McGovern was a Third Team All-American helping Monroe to the NCJAA Div. II World Series. He was one of the top pitchers in the nation, compiling a perfect 9-0 mark with a 1.52 ERA. The MVP of the regional tournament, MCC continued an unprecedented run of Region III, Div. II championships, defeating Mercyhurst North East 2-1 for the school’s fourth straight title. McGovern pitched a six-hitter while allowing one unearned run and striking out 10. On the season, he struck out 60 and walked just 11 in 65 1/3 innings. McGovern also batted .328 with five home runs and 47 RBIs. McGovern, a two-way man for coach Don Campbell and the Ottawa-Nepean Canadians, transferred to UNC-Pembroke Braves. He was named to the All-Canadian for his arm (Second Team) and his bat (Honourable Mention). McGovern was a Third Team All-American helping Monroe to the NCJAA Div. II World Series. MCC won its MCC fourth straight title, defeating Mercyhurst North East 2-1 as McGovern finished the tourney 7-for-10 at the plate. McGovern also batted .328 with five home runs and 47 RBIs. Reliever: Thain Simon (freshman, Toronto, Ont.) Santa Clara Broncos. Simon received three All-America honors as he was named to: Baseball America’s Freshman All-America second team; to the Louisville Slugger’s and NCBWA Freshman All-America teams and the West Coast Conference’s top freshman as he earned WCC Freshman of the Year honors. Simon made nine mound appearances in WCC play, posting a 2-2 record and recording a pair of saves, with a 2.85 ERA. Simon tied for second in the conference with nine victories, and was fifth in the league with 71 strikeouts in 62 2/3 innings. His 2.59 ERA ranked fourth in the league. On the season, Simon was 9-2 record, starting the year in the bullpen and registering two saves on the opening weekend against San Diego. He received WCC Co-Pitcher of the Week honors for his performance. He moved into the rotation in April against Gonzaga and picked up win No. 9 against Loyola Marymount after tossing a season high 7 2/3 innings and tying his season-best eight strikeouts. Simon’s Santa Clara coach attempted to place him on Team USA for the World University games. Told he was ineligible since he was born in Canada, a call was made to Team Canada coach Terry McKaig. A great discovery. Catcher: Joel-Anthony Del Grande (junior, Scarbrough, Ont.) of the Alcorn State Braves. Del Grande took both Newcomer of the Year and Outstanding Hitter of the Year honors in the South West Conference. Del Grande had the second best average in the SWAC (.432) and ranked second in doubles with 18. He has hammered 18 doubles (2nd in the SWAC) on the season and 42 RBI. He also had a slugging percentage of .636. He also earned Second Team SWAC honours. First base: Kevin Atkinson (junior, Surrey, BC), of the New Mexico Lobos. Atkinson was a First Team All-Canadian in 2007, leading all vote getters and again in 2006. Second base: Jean-Michel Rochon-Salvas (senior, Longueuil, Que.) of the Georgia State Panthers. Rochon-Salvas earned ESPN The Magazine Second-Team Academic All-District III honors and was named to All-CAA Second-Team. He finished his four-year career as school leader in hits (267) and runs scored (165), while tying for third with 10 multi-RBI games. He started the season with 16-game hitting streak and batted .435 with three doubles, a triple, 13 runs scored and 13 RBIs during the stretch. Rochon-Salvas went 4-for-5 with a double, three RBIs and three runs scored against Jackson State and tied a school record with five hits while going 5-for-5 against George Mason. Some memorable outings included going 3-for-5 and two RBIs against VCU; he doubled and homered to drive in four runs while going 4-for-5 against Northeastern, was 3-for-5 with a double and two RBIs facing North Carolina Central and was 3-for-3 with a home run, two RBIs Alabama A&M. He was a Colonial Athletic Association Scholar-Athlete. Rochon-Salvas earned Honourable Mention on the 2007 and 2006 All-Canadian Teams. Third base; Randy Schwartz (senior, Kleinburg, Ont.) High Point Panthers. Schwartz was the All-Big South Second Team selection after finishing the season as the Panther’s top hitter with a .335 average. Schwartz started every game, led HPU in hits (69), doubles (16), home runs (nine), runs scored (35), total bases (114), slugging pct. (.553) and on-base percentage (.400), while ranking second on the squad in RBIs (32) and walks (23). He reached base safely in 48 of 53 games this season and tallied a team-best 23 games with multiple hits. Schwartz finished his four-year career at High Point as the program’s all-time career hits leader with 255. Schwartz had a memorable final home game at High Point belting a walk-off game winning homer in the 10th inning sending the Panthers to a 6-5 come-from-behind victory over USC Upstate. Schwartz, 3-for-5 at the plate, launched his team-leading ninth homer of the year over the centre field wall. Schwartz played for Danny Thompsonand Team Ontario. Schwartz earned 2007 All-Canadian Honourable Mention honors. Shortstop: David Narodowski (sophomore, Vancouver, BC), of the Vernon Chaparrals. A first team all-conference selection in 2008, Narodowski it .311 in 2008 with 13 doubles, six homers and 31 RBIs. He also stole two bases. Narodowski played for the North Delta Blue Jays and coach Ari Mellios. Outfielders: Brad McElroy (senior, London, Ont. ), of the University of Charlotte ’49ers; Aaron Dunsmore(sophomore, Calgary, Alta.) Colby Trojans; Marcel Champagnie (junior, Bolton, Ont.) of the Arizona State Sun Devils. McElroy make his second straight appearance on the All-Conference First Team in the Atlantic 10 Conference. McElroy has Charlotte’s best-ever career average, at .392, after a 5-for-5 performance and six walks in the Raleigh, N.C. Regional to take first place. He recorded a 29-game hitting streak this season, second longest in school history. He was a Third-Team All-America selection last year, earning First-Team All-Region Honors, becoming the seventh Niner in team history to hit .400 or better (.401). He led the team and the conference in hits, runs, doubles and RBI. For his two-year career at Charlotte, The former London Badgers star for coach Mike Lumley had 120 runs, 114 RBIs, 42 doubles and 33 stolen bases in 35 tries. He was the 759th pick overall in the 25th Round by the Blue Jays. Dunsmore was a First Team West Jayhawk Conference selection. He led a strong offensive attack for the Trojans, finished with a .438 average, nine homeruns, 45 RBIs and a school record 23 doubles. Dunsmore transferred to the Dayton Flyers and spent the summer playing for the Sherwood Park Dukes. Champaigne made The College Baseball Foundation Week One National All-Star Lineup. Champaigne, who played for Mel Oswald’s Canadian Thunderbirds, was selected in the 15th round by the Los Angeles Angels. He started the season at shortstop before being moved to the outfield and hit .371 with three homers and 37 RBIs. Champaigne was a Second Team All-Canadian in 2007 and earned Third Team honours in 2006. DH: Curtis Stasiw (senior, Thunder Bay, Ont.) of the Minot State Beavers. Stasiw made the Dakota Conference Second Team, after taking a year off from baseball and returned to his sophomore form, when he made First Team as a DH. Stasiw played for Thunder Bay’s most valuable import, coach Jason Hart. of the Northwest Slam which produced the likes of Matt Linder, Darryl Fuchihara and Adam Roos. Stasiw earned Dakota Conference Scholar Athlete honours. Stasiw batted .420 with eight home runs and five doubles with 36 RBIs. Left-hander: James Paxton (sophomore, Ladner, BC) Kentucky Wildcats. Paxton tossed the game of his career in an SEC-Tournament clinching win over the Ole Miss Rebels, hurling a complete-game shutout, striking out six and scattering seven hits. For that effort, he was named the SEC Pitcher of the Week. Six days after blanking Ole Miss, Paxton faced the Rebels in the second round of the SEC Tournament, lasting 3 1/3 innings with four hits allowed, three runs, five walks and two strikeouts. He pitched in 17 games with 11 starts, earning a 4-2 record and a 2.92 ERA. He Worked 52 1/3 innings, allowing only 46 hits and striking out 43, holding opponents to a .238 average. A minor injury in his final five starts limited him to less than five innings in four of the last five. Still Paxton, who spent his school years pitching for the North Delta Blue Jays and coach Ari Mellios, is expcected to be the top collegian drafted in June of 2009. Right-hander: Mathew Wilson (senior, Toronto, Ont. ), Bucknell Bison. Wilson pitched the Bison to an upset 7-0 victory over the 4th-seeded Florida State Seminoles in the opening round of the 2008 NCAA Tournament at the Tallahassee Regional. ,He was a unanimous selection to the Tallahassee All-Regional Team. Wilson’s shutout against the Seminoles was the fifth of his career, which set a school record. Wrote one voter “this guy should be First Team for that game alone and voters better have a good reason for putting anyone ahead of him. A team co-captain, Wilson was a Second Team All-Patriot League selection. He finished his career with a 13-8 record and 156 strikeouts. His 73 strikeouts this spring were a career high, narrowly missing breaking the Bison single-season record for strikeouts per nine innings. Reliever: Luis Castillo (sophomore, Burlington, Ont. ), Jefferson County Cannoneers. Castillo was named Mid-State Conference co-player of the year. He went 4-2 with a 1.53 earned run average, allowing nine earned runs on 49 hits in 53 innings pitched. Castillo struck out 74 and walked 15. He led the Cannonneers in wins, ERA, innings pitched and strikeouts. He earned First Team All-New York League honours for the Watertown Wizards. In the summer league he went 6-1 with a team-low 1.64 earned run average in nine appearances. Castillo who pitched at the Canadian junior championship for Guelph coach Scott Van de Valk allowed eight earned runs in 44 innings pitched and struck out 34. Catcher: Marc-Olivier Jodoin-Mimeault (junior, St. Constant, Que. ), of the Georgia State Panthers. Jodoin-Mimeault finished second on the team with 16 multi-RBI games and ranked second on club in RBIs (51). He was 4-for-6 with a double, three RBIs and three runs scored against Jackson State, doubled and singled twice while going 3-for-5 with two RBIs and two runs scored against No. 11 Georgia Tech, went 3-for-5 with a double and run scored against VCU; drove in three runs with a pair of singles against Northeastern and hit game-winning three-run homer in bottom of the ninth against William & Mary. First base: Marshall MacDonald (junior, Red Deer, Alta.) of the Dayton Flyers. Started all 56 games for the Flyers, finishing second on the team with a .306 average at .306. Not only that he was led the team with 42 RBIs, a slugging percentage of .476, in runs scored with 41 and home runs with eight. He was second in on base percentage .431, MacDonald also led the team in walks (36) and total plate appearances (256). He earned Atlantic 10 Player of the Week combining for a .444 average, eight runs scored and eight RBIs while belting four homers in five games against Bowling Green, Wittenberg and Saint Joseph’s. He followed that up by belting a two-out walk-off home run in the bottom of the 10th inning to lift Dayton over Wright State 12-10. Second base: Justin Koch (senior, Medicine Hat, Alta.) of the Williams Woods Owls. Koch earned America Midwest Conference First Team honours. He was also named a Region V Scholar-Athlete and to the AMC All-Academic Team. The National Strength and Conditioning Association (NSCA) awarded Koch, from William Woods its annual All-American Strength and Conditioning Athlete of the Year award. Koch was selected as the AMC Player of the Week as in a doubleheader against Hannibal-LaGrange College, he went 6-for-7 at the plate with two doubles, a home run and four RBIs. He also scored four times as the Owls swept a pivotal AMC doubleheader from the Trojans. 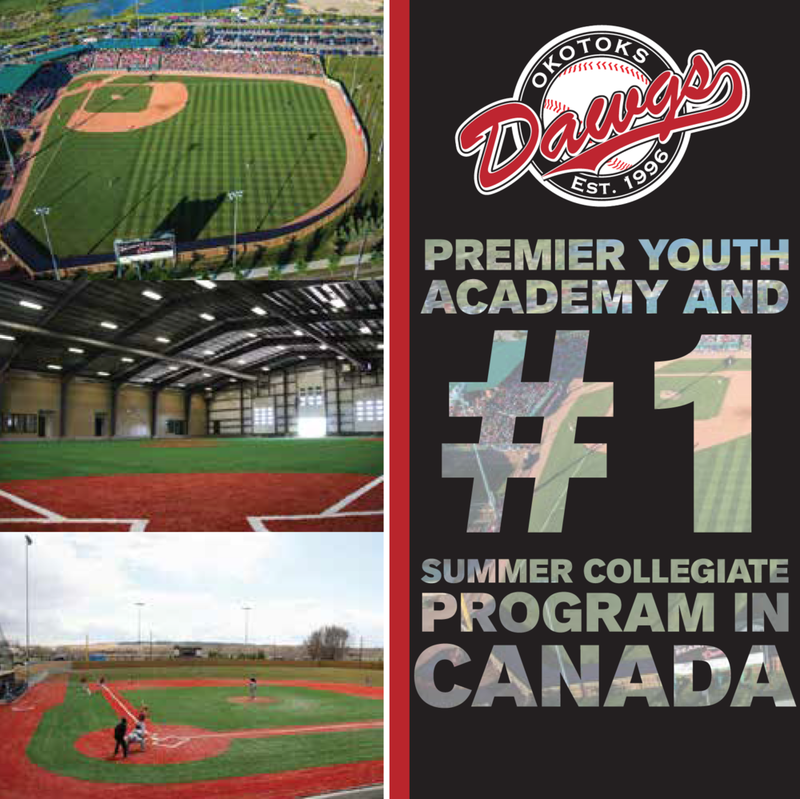 Koch attended the Prairie Baseball Academy under coach Blair Kubicek. Third base; Douglas Toro (junior Longueuil, Que.) of the Lynn Fighting Knights. Toro stole four bases for a single game record for the Fighting Knights in a 9-1 win against Palm Beach Atlantic. Toro single-handedly gave the Blue and White an early lead after three innings with his base running prowess leading off the game with a base hit, stole second and made his way home off of a ground out and fly ball. He reached base with two-outs in the bottom of the third when he legged out a bunt single down the third base line. Toro proceeded to steal second, third and home on three pitches, putting Lynn ahead 2-0. Shortstop: David Cooper (senior, Edmonton, Alta. ), of the Mount Olive Trojans. Cooper, a three-time all-region and all-conference selection was the Trojans’ lead-off batter in each of his three years at Mount Olive. Cooper compiled a career average of .385, including a .406 mark in his junior year. He finished his career with 102 stolen bases and set all career, single-season and single-game school records for stolen bases and triples. Cooper was named to the All-Tournament Teams at both the 2008 NCAA II National Finals and South Atlantic Regional. Cooper was the second David Cooper to be selected in the draft. University of California first baseman David Cooper was the 17th player drafted by the Blue Jays. “I was aware of the ‘other’ David Cooper a month ago when I saw his name in a draft preview,” said Cooper. “I was just hoping there was room in the draft for another David Cooper.” Cooper went in the 44th round, Williams to the Arizona Diamondbacks. Cooper attended the Prairie Baseball Academy under coach Blair Kubicek. Cooper was a Third Team All-Canadian in 2007 and Second Team honours in 2006. Outfielders: George Agyapong-Mensah (freshman, Mississauga, Ont.) Western Texas Westerners; RyanLaPensee (sophomore, Windsor, Ont. ), of the Wayne State Warriors and Shayne Wilson (sophomore, White Rock, BC), of the Iowa Western Reivers. Agyapong-Mensah was 25th over-all in Division I in Total Bases per game (2.208) and At Bats per Game (3.434). He was 26th in home runs per game (0.189), 30th in doubles per game (.321), 35th in hits per game (1.245) and 39th in slugging percentage (.643) and 45th in RBIs per game (.868). LaPensee was named a Player to Watch by the American Baseball Coaches Association NCAA Division II All-America Committee and named to the All-GLIAC Honorable Mention Team as well as the All-Academic Team. He started 50 of 51 games, leading the team and finished fourth in the GLIAC with a .409 average. LaPensee became one of four WSU players ever to hit .400 or better twice and the first since 1993-94. He finished sixth in the conference in on base percentage (.480) and hits (70) and seventh in runs batted in (45). LaPensee was held hitless in just five games from April 1 to the end of the season. He batted .594 (19-32) in the postseason including a .667 clip (14-21) at the NCAA Regional and was named to the NCAA Regional All-Tournament Team. LaPensee played for Jay Evans and the Windsor Selects. Wilson was selected to the Iowa Conference Second Team honours. Wilson went 1-3 in a 10-2 loss to Shelton State at the Junior College World Series in Grand Junction, Co. He also was 3-for-5 with an RBI in a 28-19 marathon loss to Central Arizona. Wilson, who played for Doug Mathieson and the Langley Blaze, was a 20th round selection of the Minnesota Twins in 2006. DH: Bryan Stebbings (senior, Vancouver, BC), of the LSU-Shreveport Pilots. Stebbings had two hits as Shreveport bounced the top-seeded Mobile Rams from the GCAC Tournament. Stebbings, who played for the White Rock Tritons and coach Don Archer, hit .349 with three homers and 51 RBIs. Stebbings earned 2007 Honourable Mention on the All-Canadian Team. Left-handers: Graham Campbell (senior, Victoria, BC), Jamestown Jimmies; Mark Hardy (sophomore, Campbell RIver, BC) British Columbia Thunderbirds. Voting (first-place votes in brackets): Davis (19) 118, Robinson (14) 118, Tosoni (3) 45, Paxton (5) 41, Campbell (3) 21, Hardy (1) 13. Right-handers: Jordan Meaker (junior, Burlington, Ont.) Dallas Baptist Patriots; Josh Sawatzky (senior. Altona, Man.) Canisius Golden Griffins. Voting (first-place votes in brackets): Francis (21) 148, McGovern (11) 111, Mat Wilson (6) 56. Meaker (1) 15, Sawatzky (1) 9. Relievers: Ryan McGorman (junior, Arden, Man.) Canisius Golden Griffins; Hiarali Garcia (senior, Windsor, Ont.) Kansas Jayhawks. Voting (first-place votes in brackets): Albers (13) 91, McDonald (9) 91, Simon (5) 56, Castillo (8) 54, McGorman (4) 40, Garcia (1) 15. Catchers: Miles Johnson (junior, Oak Point, Man. ), Jamestown Jimmies; Scott Tulloch (senior, Maple Ridge, BC), Dickinson State Blue Hawks; Joe Leghorn (senior, Victoria B.C. ), New Mexico State Aggies;Kevin Reimer (junior, Steinbach, Man. ), Canisius Golden Griffins; Justin Worby(sophomore, Acton, Ont.) Connors State Cowboys; Mark Jurczynski (junior, Toronto, Ont. ), Lindsey Wilson Blue Raiders. Voting (first-place votes in brackets): VanderHey (19) 131, Del Grande (7) 57, Jodoin-Mimeault (1) 37, Johnson (5) 27, Tulloch (1) 30, Leghorn (1) 25. Reimer (2) 21, Worby (2) 13, Jurzcynski (2) 11. First base: Josh Correia (senior, Brampton, Ont.) Point Park Pioneers; Cam McLachlan (junior, Nanaimo, B.C), Jamestown Jimmies. Voting (first-place votes in brackets): Delaney (26) 167, Atkinson (10) 119, McDonald (2) 22, Correia (2) 20, McLachlan 19. Second base: Daniel Boudreau (senior, Coquitlam, BC), Dickinson State Blue Hawks; Jeff Cowan (junior, Scarborough, Ont. ), High Point Panthers; Harrison Harber (senior, Kanata, Ont. ), Niagara Purple Eagles; Nick DeSanctis (senior, Maple, Ont.) Arkansas-Little Rock Trojans. Voting (first-place votes in brackets): Mailloux (28) 174, Rochon-Salvas (4) 82, Koch (4) 65, Boudreau (4) 58, Cowan (2) 27, Harber 10, DeSantsis (1) 9. Third base: Matt McGovern (sophomore, Gloucester, Ont.) Monroe Tribunes; J.P. Willner (freshman, Regina, Sask.) Monterey Peninsula Lobos. Voting (first-place votes in brackets): Cairns (22) 154, Schwartz (10) 98, Toro (3) 57, McGovern (4) 30, WIlner (2) 18. Shortstop: SS Carl Moniz (sophomore, Laval, Que. ), Northeastern Oklahoma A&M Golden Norse; Jason Chatwood (junior, Innisfail, Alta. ), Gonzaga Stags; Andrew Bell (senior, Surrey, BC), Salem International Tigers; Jeff Helps (senior, Wyoming, Ont. ), Central Michigan Chippewas; Jason Russell (senior, Millet Alta. ), West Virginia Wesleyan Bobcats; Marcel Champagnie (Bolton, Ont. ), Arizona State Sun Devils. Voting (first-place votes in brackets): Dayleg (15) 97, Narodowski (7) 64, Cooper (6) 46, Moniz (2) 35, Chatwood (1) 25, Bell (2) 12, Helps (1) 10, Russell 7. Champagnie (1) 5. 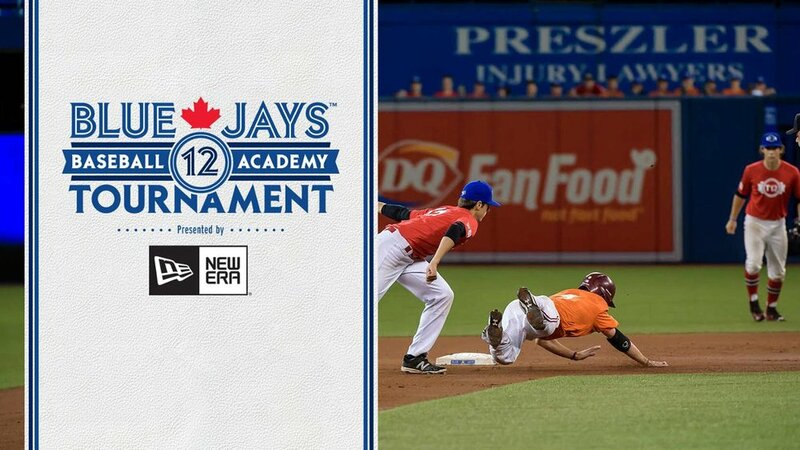 Outfielders: Bryan Abrey (sophomore, Richmond, BC), Merced Blue Devils; Chase Larsson (sophomore, Vancouver BC) St. Petersburg Titans; Branson Joseph (junior, Mississauga, Ont. ), Canisius Golden Griffins; Dane Embury (senior, Kelowna, BC), Northern Iowa Panthers; Steve Anderson (sophomore, Markham, Ont. ), Northeastern Oklahoma A&M Golden Norse; Chad Stang (freshman, Surrey, BC), Midland Chapparals; Ken Fuglerud (senior, Lethbridge, Alta. ), Saint Mary’s Gaels; Josh Garton (freshman, Guelph, Ont. ), Volunteer State Senators; Nolan Bracken (senior, Regina, Sask. ), Dickinson State Blue Hawks; JonSyrnyk (junior, Langley, BC), British Columbia Thunderbirds; Greg Wallace (freshman, Nanaimo, BC), Evansville Purple Aces; Denten Neill (junior, Wakefield, Que. ), New York Tech Bears. Voting (first-place votes in brackets): DeGrace (21) 133, Pennell (19) 124, Reagan (14) 111, McElroy (12) 92, Dunsmore (11) 90, Champaigne (12) 77, Agyapong-Mensah (5) 59, LaPensee (3) 56, Wilson (1) 51, Abrey (3) 44, Larsson (5) 42, Joseph (5) 38, Embry (4) 37, Anderson (2) 30, Stang (2) 25, Fuglerud (2) 19, Garton 12, Bracken 10, Syrnyk (1) 8, Wallace 6, Neill (1) 5. DH: Jonathan Prevost (junior, Vaudreuil-Dorion, Que. ), Louisiana-Monroe Warhawks; Steve Kletke(sophomore, Altona, Man. ), Colby Trojans; Steven Baldinelli (senior, Niagara Falls, Ont. ), Niagara Purple Eagles; Ryan Asis (senior, Mississauga, Ont.) Canisius Golden Griffins. Voting (first-place votes in brackets): Gosse (35) 188, Stasiw (2) 52, Stebbings 36. Prevost 24, Keltke (1) 25, Baldinelli (1) 14, Asis (1) 9. Thank you for the e-mail. I have JP Willner from Sask. in my program. He is an outstanding player and made a name for himself in the California JC system last year. I’m not too familiar with the All Canadian Team and neither was JP, but when I told him he had been recognized he was very thankful. I have two Canadian student-athletes on our team this season who I think will have a decent chance of making your next team. Carl Moniz transfered to Georgia State from NE Oklahoma CC and will have two years of eligibility left. He should be our starting second basemen this year. He is originally from Laval, Quebec and went to Edouard-Montpetit HS. Another potential candidate is Marc Mimeault. He was our starting catcher last season as a junior and will start again this year. He is originally from Candiac, Quebec and also attended NE Oklahoma CC. He was named to the Johnny Bench Award Watchlist last year and should be up for the award again this year. Please let me know if you have any more questions and I will be more than glad to help. There biographies can be found on our website at www.georgiastatesports.com. I can also mail you a media guide if you like when they are printed in January. Hey thanks so much for the All Canadian First team (2007) … I didn’t know anything about it until I saw the link through facebook? Thanks, look forward to hearing back from you.